Unless agreed to beforehand, anyone who requests alimony, or spousal support, as part of a divorce, should expect the other side to object. Few spouses want to continue supporting someone after a marriage is over, which makes this issue one of the more contested aspects of divorce. Alimony is usually requested when one spouse makes considerably more than the other and/or a spouse stopped working to raise the children and maintain the household. This arrangement tends to leave the lower-earning or stay-at-home spouse with limited means for self-support once the marriage is dissolved. The current standard for alimony awards leaves courts with a large amount of discretion on how long and how much spousal support should be. This uncertainty makes it difficult to know when alimony will be awarded, and on the flip side, can leave an ex-spouse obligated to pay support permanently. Lawmakers have attempted more than once to reform Florida’s alimony laws in recent years, but never succeeded. A new attempt is underway as companion bills in the House and Senate were introduced for consideration last week. This system would set guidelines for the duration and amount of alimony awards so the outcomes are predictable for both parties. The proposed law is structured to give courts clear and concise formulas for alimony awards, although a court can deviate from the presumptive guidelines if it can justify its decision after looking at all the listed factors. Courts would start the assessment of an award by first looking at each party’s gross monthly income, both actual and potential, including income that would come from property received as part of the marital distribution. In addition, the court would look at how long the couple was married. The income information is used to determine if alimony is needed as well as whether the other spouse has the ability to pay. 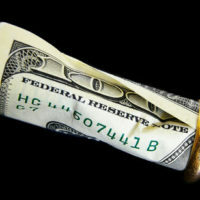 The law would presume that marriages of two years or less should not receive an alimony award, unless there is clear evidence of need, an ability to pay, and justice that requires such support. The underlying purpose of the proposed legislation is to eliminate permanent alimony, and as such, the new guidelines use a formula to calculate what the appropriate length of the award should be based on the years of marriage. Marriages of more than two and less than twenty years are calculated using the low end of the duration range, and those over twenty years use the high end. For example, a couple married 15 years could see an alimony award for up to 3.75 years, and a couple married 25 years up to 18.75 years. Calculating how much the award should be would also be governed by a formula that takes into account the difference between the monthly gross income of the parties and the length of the marriage. Thus, for a couple married 10 years with a difference in income of $10,000 per month, the formula would direct $1,500 per month to the spouse needing support. whether one party has a history of consistently earning more, including whether a portion of the income is derived from overtime or secondary employment. If you are facing divorce, or any other family law matter, working with a family law attorney will give you the best chance of getting a result that both works for your family and protects your interests. The Tampa Bay law firm of Bubley & Bubley, P.A. understands the stress and emotion of these life-changing proceedings, and will walk you through the process as the next phase of your life begins. Contact us for a free consultation.